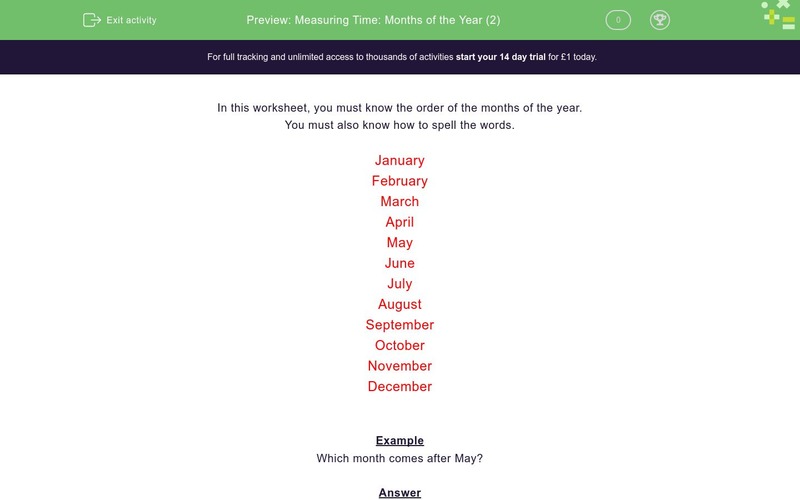 In this worksheet, students practise ordering the months of the year. In this worksheet, you must know the order of the months of the year. You must also know how to spell the words. Which month comes after May? Which month comes before March? Which month comes after March? Which month comes after April? Which month comes after September? Which month comes before July? Which month comes after December? Choose the month that comes after January. Choose the month that comes before January. Which month comes after July?